Drinking is predominantly accepted as a cultural norm in most parts of the world. We get together with friends and family alike to have a few beverages and unwind, laugh, or dance the night away. It could be out at a club, bar, or even in the comfort of your own home. While we’re busy partaking in life’s vices, there are silent watchers who learn from our habits. They quietly pick up on our actions and as they try to make sense of the world. They’re our children. We may think that having our kids around in social situations that involve drinking doesn’t have much of an impact on them. Aside from causing damage to yourself, you deeply affect the development of early childhood. Repercussions start to appear as kids grow up. The most severe results appear in the form of alcoholism. As a mother, the worst possible assumption you can make is to believe that your actions aren’t influencing those of your baby. Unfortunately, believing that no one else is getting hurt is a common misconception in alcoholism. There is an entire field of research dedicated to studying the impact of alcoholism on children of alcoholics (CoAs). It is estimated that a startling 6.6 million children under the age of 18 experience living with an alcoholic parent. Addiction, in many cases, is known to come from the parents. It may be hereditary, or it could begin based on children’s exposure to addictive behavior from a very young age. As it turns out, children of alcoholics are four times as likely to abuse alcohol in comparison to others. Keep in mind that this does not set their future in stone, but it puts them at a greater risk. When children are growing, they have very powerful thoughts. What appears not to bother them on the surface could very well be tearing them apart inside. As such, it is typical CoA behavior to start thinking that the parent is drinking because of something they did. While they are incorrect, it doesn’t stop them from believing that they are at fault. To make matters worse, sometimes the parent will solidify these thoughts. They will act irrationally when they are under the influence of alcohol. 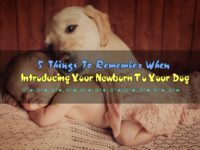 A mother or father may blurt out comments that they don’t mean, yet at the moment make the child feel like everything is happening because of them. This is a common occurrence in the household stories that emerge from CoAs. Such an early onset of strong emotions could eventually lead to more serious mental health issues such as anxiety and depression. A home infected by alcoholism is a home full of lies, deceit, denial, and secrets. The parent will break the promises of quitting for good, among others. They will repeatedly disappoint their kid. The result of this is a child growing up thinking that people, in general, are unreliable or untrustworthy. This is a painful way to live because they will always expect to be let down. Another repercussion of low self-esteem and trust issues is developing romantic relationships. CoAs will apply the same thinking to friends as well as those of romantic interest. Thus, restraining themselves from emotional attachment or co-dependence. As previously stated, alcoholics will have irrational behavioral patterns. Some days they might be happy because they know they’ll satisfy their cravings, while other days will be filled with rage. This rage will come from an inability to get liquor. The parent may feed the child properly on one day, and completely forget about them (spend the whole day sleeping) the next. Such uneven actions teach the child that they have to guess what a normal life is. They don’t have a proper example of a role model, which will cause them to mistake good from bad as they mature. The emotional drive that children of alcoholics develop leads to acting on those emotions. Emotional decision making can lead to violent behavior, as well as problems in the workplace, or with the law. 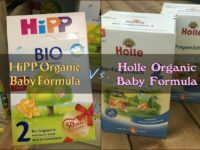 As a mother, benefiting your growing child should be your top priority. Addiction is a disease, and because of that, alcoholics don’t fully understand how they damage the lives of their loved ones. Often they are unable to recover alone, and in that case, rehab is a necessity. There is no cure for the dreadful feeling of knowing you made people in your life suffer. It is possible to raise your kids in a household where they understand the dangers of drinking. The answer lies in being a responsible mother, informing your children about how they too should be responsible. Help is always around for those in need. Don’t hesitate to ask for it. Have you dealt with alcoholism in your family? Can we learn from your story? Please share below! Luca Tofan is a Canadian freelance writer living in Medellin, Colombia. He writes about topics such as health, business, lifestyle, and travel. 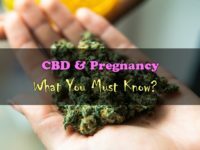 CBD & Pregnancy: What You Must Know? Intelligentmother.com is a participant in the Amazon Services LLC Associates Program, an affiliate advertising program designed to provide a means for sites to earn advertising fees by advertising and linking to Amazon.com. Additionally, Intelligentmother.com participates in various other affiliate programs, and we sometimes get a commission through purchases made through our links.